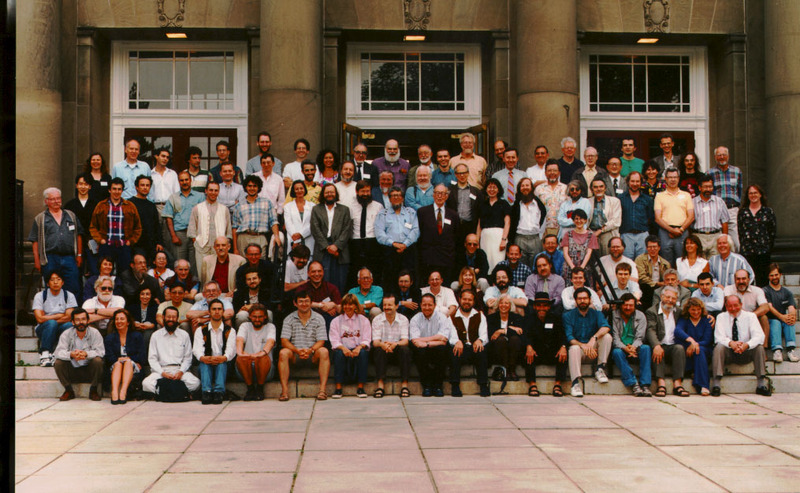 Fifty years after the paper which founded Category Theory and twenty-five years after the discovery of Elementary Topos Theory, the Category Theory community met in Halifax. The meeting was also an Annual Seminar of the Canadian Mathematical Society (which celebrates its 50th anniversary in 1995). The meeting took place on the campus of Dalhousie University in Halifax. The scientific program ran from Monday, July 10 to Saturday, July 15 inclusive. The conference social events included an excursion to Point Pleasant Park followed by a boat tour of Halifax harbour and lobster dinner, and a conference banquet on the Thursday evening. About 107 mathematicians participated in the conference. Their names and email addresses (where known) are listed. Here is the conference picture - thanks to Bob Walters for scanning. During the two weeks preceding CT95 a Category Theory Summer School was held at Dalhousie. Professors F. W. Lawvere and S. Schanuel presented a series of lectures to an enthusiastic audience of graduate students from around the world. Below is a list of speakers at CT95 and their titles. Where speakers have provided them, there are links to material (preprints, etc.) related to their lectures. The abstracts presented by the speakers are available in pdf format.